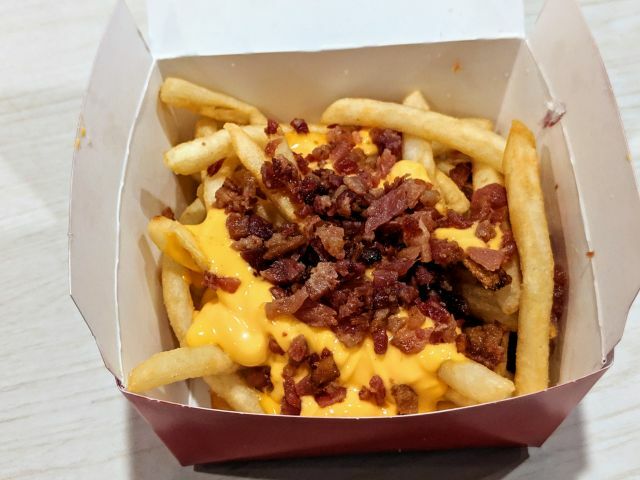 McDonald's Cheesy Bacon Fries feature the chain's signature French fries topped with cheddar cheese sauce and applewood-smoked bacon bits. I paid $3.49 for an order. The cheese sauce delivered a robust, creamy cheddar flavor that tended to overwhelm the distinctive flavor of McDonald's fries. Texture-wise, it was thick with a smooth consistency. The bacon was actually smokier and more flavorful than the bacon you find in McDonald's burgers and they didn't skimp with either the cheese or the bacon. However, the bacon was soft and a little chewy without even a hint of crispiness (which makes me think they come pre-cooked in bags and are heated in the microwave). McDonald's fries are a favorite of mine when eaten alone but they don't hold up all that well here. They're fairly thin so they get soggy faster and their distinctive flavor gets lost against the stronger flavors of the bacon and cheese. 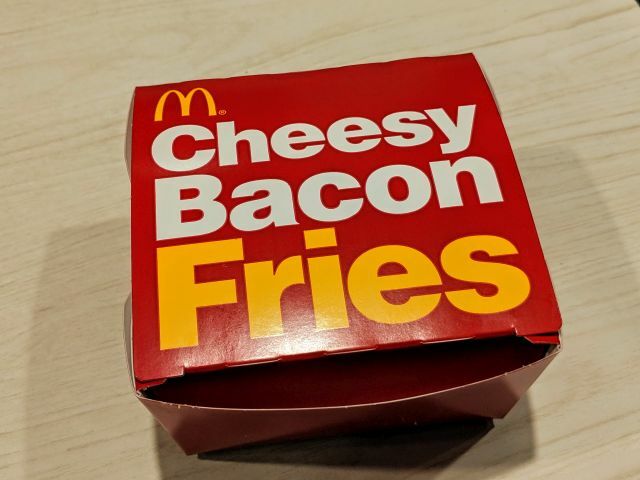 When it comes down to it, I'd rather just have a regular order of McDonald's French fries over their Cheesy Bacon Fries. 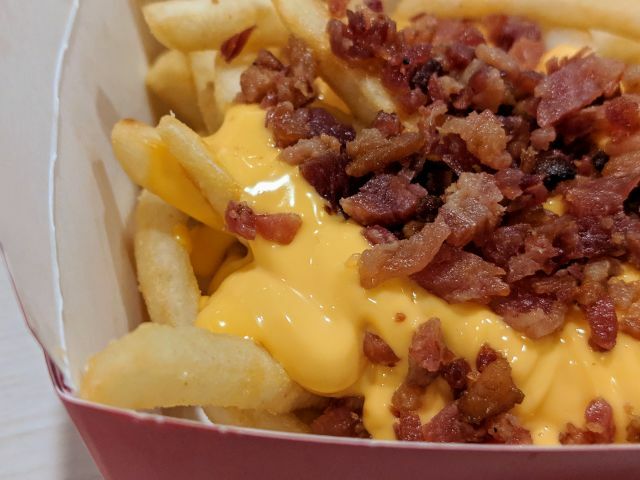 While the flavors of the cheese and bacon were good, they don't go well with the fries. I prefer Wendy's Baconator Fries which sport a milder cheese sauce, thicker fries, and crispy bacon (they're also cheaper by a buck in my area).